USAID and the Government of Sweden have awarded Cardno Emerging Markets USA a five-year contract for implementation of the Fostering Agricultural Markets Activity II (FARMA II) project in Bosnia & Herzegovina (BiH). The purpose of the FARMA II Project is to create agricultural and agribusiness economic opportunities for BiH farmers and entrepreneurs. FARMA II will achieve this by assisting agricultural producer organizations to adopt European Union (EU) and international agricultural and food standards and new production techniques, produce new high value products and expand their access to foreign and domestic markets. BiH has a vast potential with large areas of pasture with an increasing necessity for pollination of cultivated and wild plants. Despite this, beekeeping industry is currently inadequately developed in BiH. Beekeeping is in most cases considered hobby or additional occupation, with majority of beekeepers coming from older population that show less interestto increase of number of hives or to professionalize. 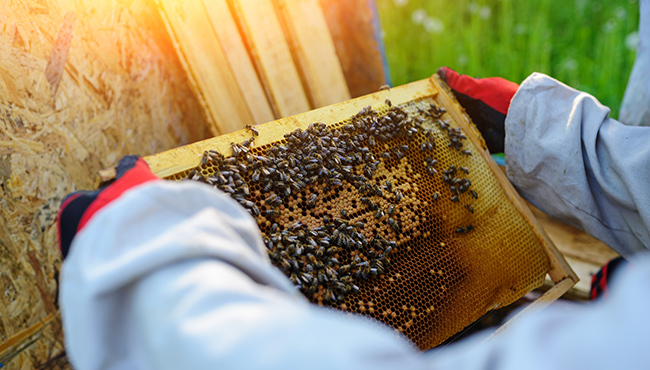 In order to improve production technology and to increase competitiveness of the sector, it is important to apply modern beekeeping technologies and to attract a youngergeneration into this production. Beekeepers in BiH have the potential to significantly increase production and gain more income from beekeeping on all levels. Botanical and geographical origins of honey are of high economic importance wherever honey is appreciated from local customers. BiH incorporates diverse climatic and ecological conditions resulting in areas with marvelous nectar and pollen resources for the bees. The climate, vegetation and relatively unpolluted habitats in some parts of BiH could enable beekeepers to harvest worthwhile crops of honey. Migratory beekeeping allows exploiting part of the rich natural and cultivated vegetation throughout a whole year. There is no comparableagricultural sector that can alleviate poverty than by beekeeping. It is also crucial to rejuvenate beekeeping population in BiH and to increase the number of professional beekeepers that produce in line with modern good beekeeping practices. The purpose of this activity is to promote modern beekeeping technologies that will result in better productivity per hive, increase in number of hives and will increase the attractiveness while demonstrating the profitability to a younger generation. •	Trainings will cover the following: economic value of beekeeping; development of a brood, communication and orientation, swarming; plants important for beekeeping; modern pollination technology, including training of bees; bee diseases; equipment in beekeeping; preparation of bees for winter; spring works in an apiary, autumn works in an apiary; basics of organic beekeeping; introduction to expanding the product range beyond honey; the main challenges for young beekeepers and women.All trainings should be leading to beekeepers understand the importance, advantage and profitability in beekeeping when applying modern beekeeping practices. In each of the training, difference between organic and conventional beekeeping should be emphasized. •	Final report produced, with recommendations for the future. LoE25 days, including up to 3 days for preparation of investment estimates and presentations for theoretical trainings. Trainings will begin in March 2019 and finish by March 2020. •	Valid driving license and possibility to organize transportation to / from trainings.